Mind you, it’s not because I’m just a slob. I dress like one sometimes, but I do fix up when I feel like it. I don’t like putting on make-up for one simple reason: it makes me highly uncomfortable. You see, my skin is a bit sensitive. I get allergies when I put on commercial make-up — puffy eyes and swollen cheeks aren’t really very fashionable. I need to use organic ones (which are pricier) if I really needed to fix up. Good thing my lips aren’t that sensitive, I can have the semblance of a non-slob even if I’m not perfectly made up. So what’s the big deal with lip balm, you ask. Well, for one, I’m the type who easily gets dry lips. It can get so bad if the weather is too hot or cold, that the skin on my chapped lips break and bleed. It’s not fun having the taste of blood in your mouth if you’re not Edward Cullen or some highly emotional adolescent vampire with issues. As the name implies, LipIce Color Gloss adds shine to your lips. Great for a casual night out — not too dressy, but not too plain either. Color Gloss contains Macadamia Seed Oil, Aloe Extract, and Lanolin oil to keep lips moisturized. 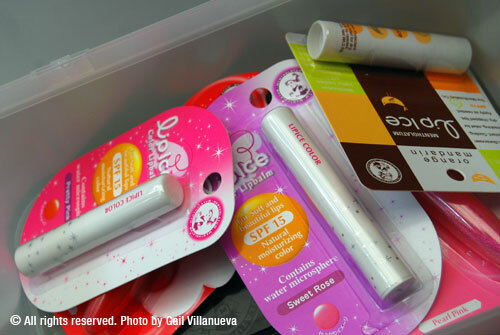 It also contains Vitamin E. LipIce Color Gloss comes in Summer Pink, Candy Apple and Pearl Pink variants. Here’s another interesting one. It has similar organic ingredients as Color Gloss, but it doesn’t have sparkly particles that make lips shine. It comes in two variants, Strawberry and Fragrance Free. The strawberry one reminds me of strawberry candy, while the Fragrance Free version doesn’t have scent but has the tingly feel of menthol. That’s not what makes this lip conditioner special though. LipIce Sheer Color is color-changeable, it adds a natural sheer pink to your lips according to the moisture level of your skin. It also has beeswax that makes it suitable for sensitive skin. 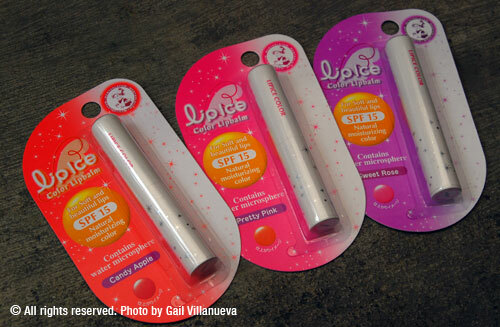 LipIce Color LipBalm also come in three varieties: Pretty Pink, Candy Apple, and Sweet Rose. This product also adds color to your lips. But unlike the usual lipstick, the colors aren’t too loud — just the way I like it. The color is subtle, and adds just the right amount of tinge you’ll need. It’s also made with natural ingredients, but also has water micro-spheres for water retention and SPF15 to protect your lips from the sun. I haven’t been able to use it much though, as most of the time I could only go out at night because of work. This is one of my favorites. I got to sample the Orange Mandarin variety and I love it! 😀 It also comes in Lemon, Apple, Grape Blackcurrant, and Strawberry. 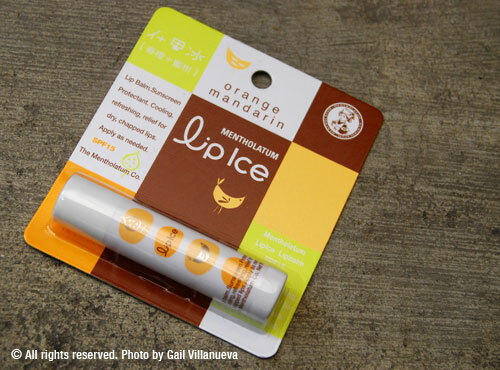 The variants LipIce Fruity has is quite different from the usual lip balm, don’t you think? I haven’t tried the Grape Blackcurrant, but it sounds interesting. Anyway, aside from the candy-like orange flavor, it also has SPF 15 sun protection and mentholated, giving the lips a cooling feel. For somebody who gets chapped lips often, this really provides relief. I guess that’s why I use LipIce Fruity on a daily basis. Next to LipIce Fruity, this is another favorite. I’ve used a lot of lip balms in the past, and this brand is the best ever for me so far. It doesn’t give me that uncomfortable feeling that I’ve got something on my lips, I hardly notice it’s there. 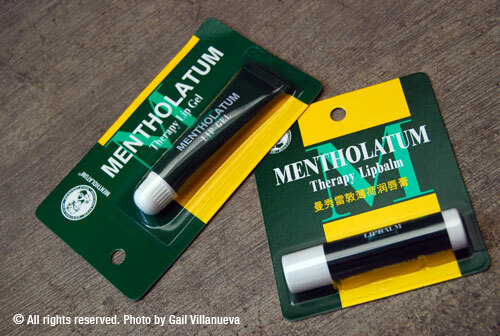 But even with little application, Mentholatum can already provide relief. If you want your own LipIce just like mine, you can get them at Watson’s and Beauty by SM. 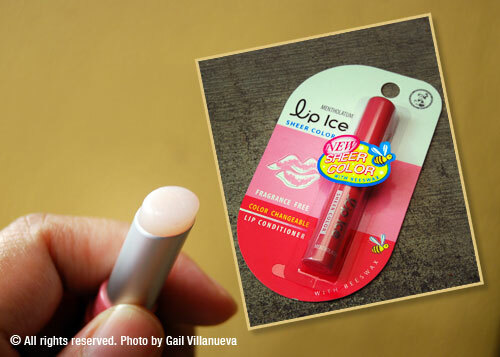 LipIce products range from Php89 to Php125, while LipIce Sheer Color is priced at Php145. This entry was posted on Monday, 6 December 2010 at 1:36 pm and is filed under Daily Dose, Health, Vanity.